Sulli of the group f(x) revealed a cute selca of herself. 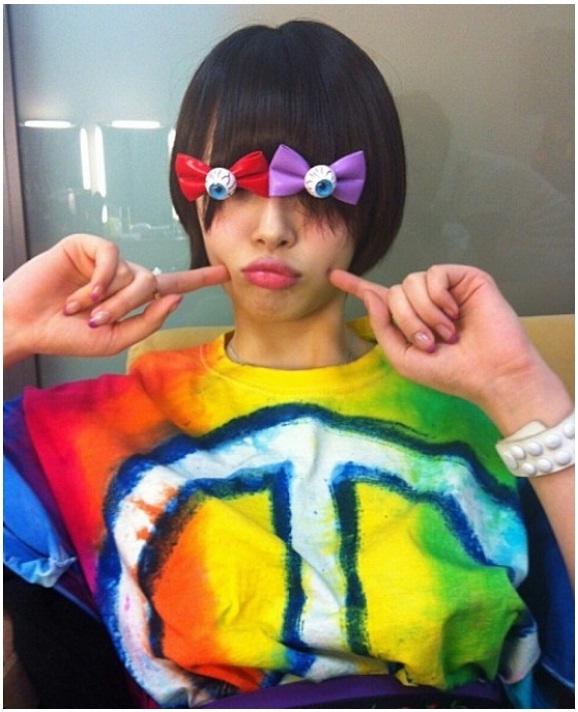 In the photo, Sulli is wearing a colorful, oversized shirt with ribbon pins that look like eyeballs on her eyes. Making all the perfect poses and expressions, she is touching the hearts of male fans with her overflowing aegyo. Netizens commented, “Only Sulli can make that look cute,” “Sulli is so funny,” “Her expression is very cute,” “Krystal must love the ribbon pins” and more.